This conference will be held on 13 and 14 June 2019 at Vrije Universiteit Amsterdam. 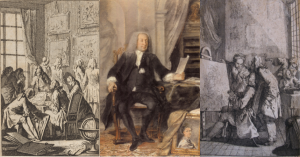 Researchers are invited to submit papers scrutinizing the impact of the early modern notion of ‘school’ on the emergence of a geographical understanding of the visual arts in Europe. As an organizing principle in art collections and art books, this notion was used to indicate a range of different kinds of places, including artists’ workshops, art academies, cities, regions and nations in Europe. Its application was far from standardized, however, as evidenced by the broad debates, negotiations and contestations amongst scholars, collectors, dealers, agents and artists concerning the nature, prestige and identity of art and artists. Depending on the contexts in which such debates took place (e.g. scholarship, collecting, the market or aesthetics), the notion of school could be associated with issues of taste and civilization, human variety and national character, nature and climate, and commerce or knowledge. The concept of school was thus based on the location of certain practices and modalities of art, although it was equally suited to the active shaping of ideas about the European art world and, possibly, even about the nations of Europe. The early modernconcept of school thus did not coincide with the modernnotion of national school. The extent to which it influenced modern forms of national-school classifications of art and national art history (which are currently under critical scrutiny by art historians with a geographical interest in the artistic exchange, transfer or circulation of early modern art) is open to debate (Gaehtgens 1993, Kaufmann 2004, Maës 2010).